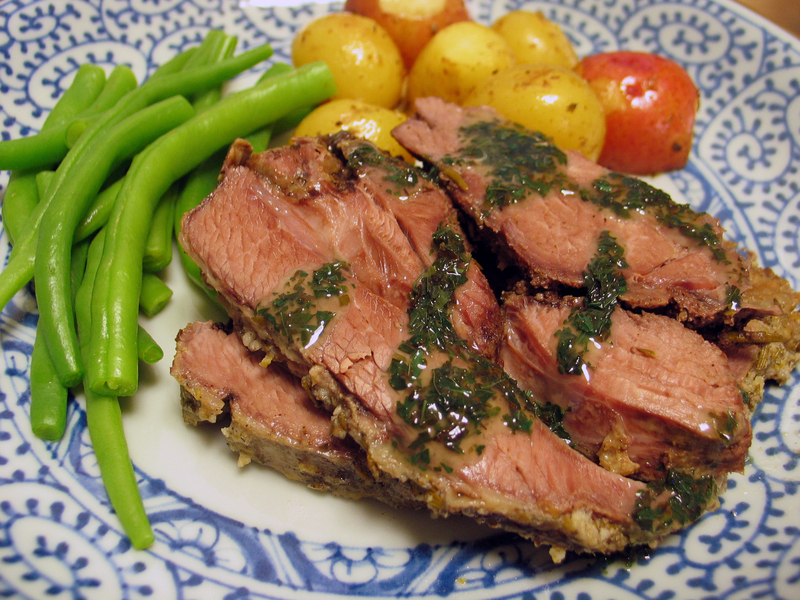 Another great recipe from Dinner with Julie, and a perfect match to Roasted Lemon Potatoes. Enjoy! Trim the lamb of any large and obvious pieces of fat and pat it dry. I usually use a boneless leg, so the meat may even be in 2 pieces. In a small bowl combine the zest, garlic, rosemary, oil, salt and pepper, until it’s basically a paste – if you’re using an extra large piece of meat, this is easily doubled. Rub the paste all over the lamb and allow it marinate for at least an hour. 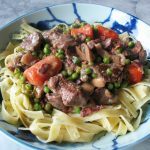 This could be done overnight, but I usually get it all ready – in the slow cooker so I don’t waste any paste – and then let it sit on the counter. When you’re ready to start cooking, add the wine and squeeze the lemon over top it all. Cover and cook on low for 6 to 8 hours, and don’t forget the mint sauce!